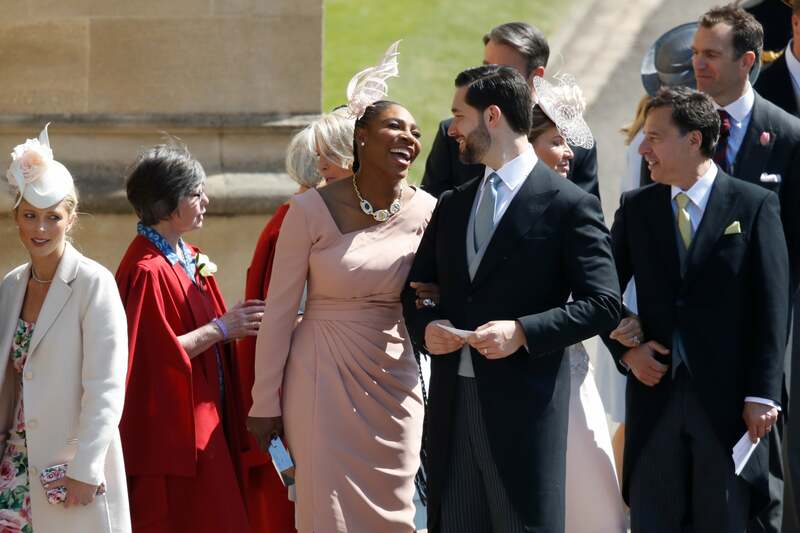 As one would imagine, for an American-born, Hollywood actress marrying royalty, there was no shortage of star-studded guests in attendance at St. George’s Chapel at Windsor Castle. 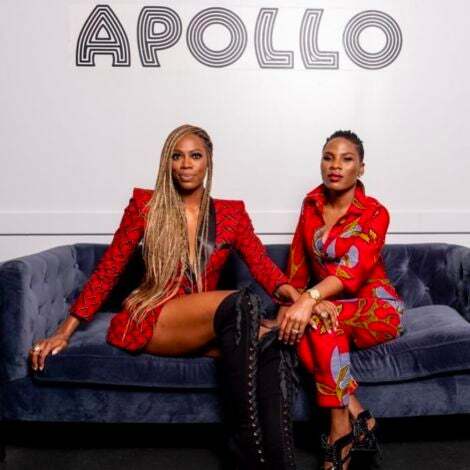 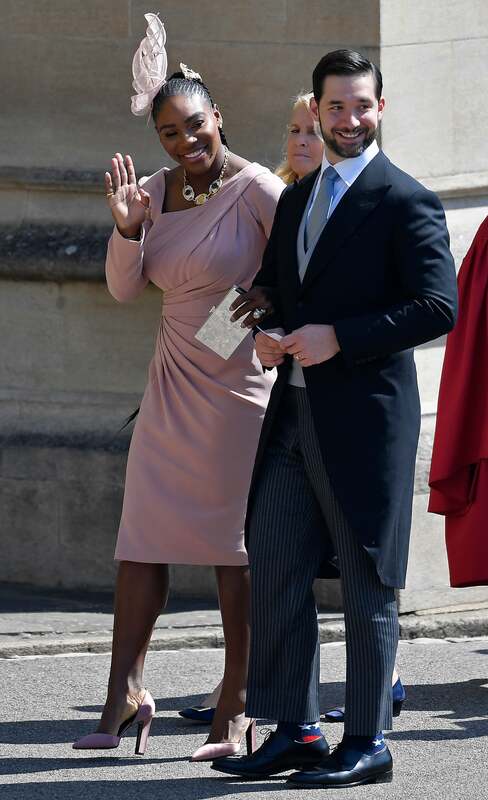 Ahead of Prince Harry and Meghan Markle’s long-awaited royal nuptials, we spotted a few of our favorite Black celebrities arriving in style—dressed to the nines in pastel and bright patterned dresses, complete with show-stopping fascinators and waist-length twists (we see you, Serena!). 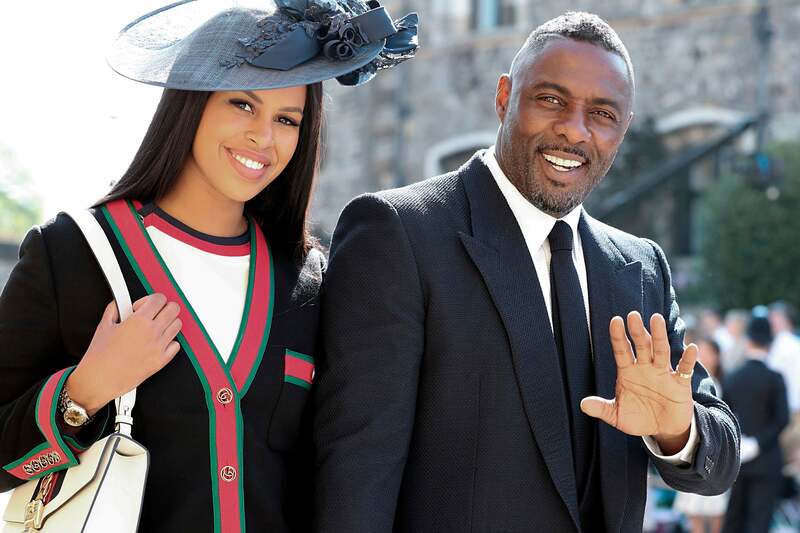 If you missed the beautiful ceremony across the pond, keep scrolling for all the legendary guests, including Oprah and Idris Elba, who showed up to support the newly-minted Duke and Duchess of Sussex. 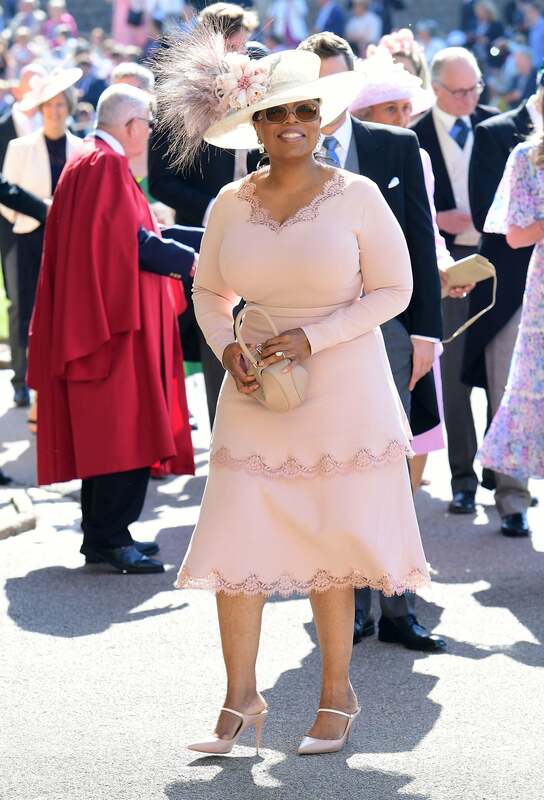 Oprah wore a pink, double-tiered Stella McCartney dress with lace trim, paired with matching mule pumps and a feathered hat. 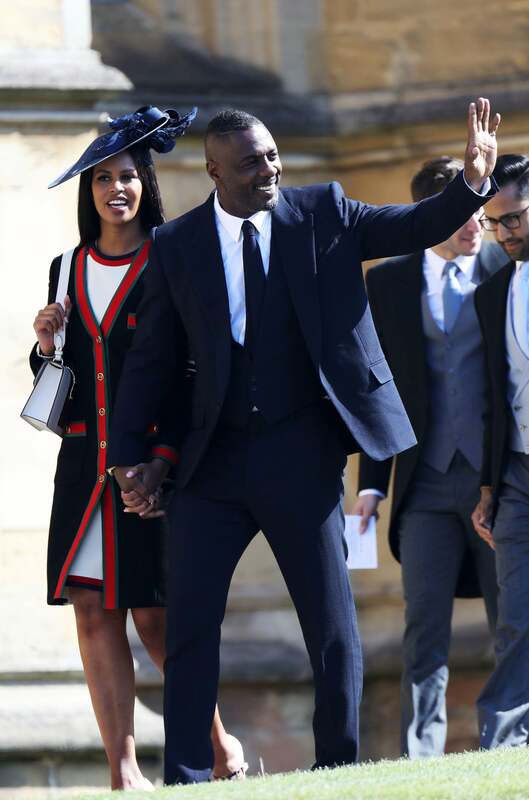 Fellow Brit Idris Elba, looking quite dapper, wore a navy suit, while his fiancee Sabrina Dhowre slayed in head-to-toe in Gucci. 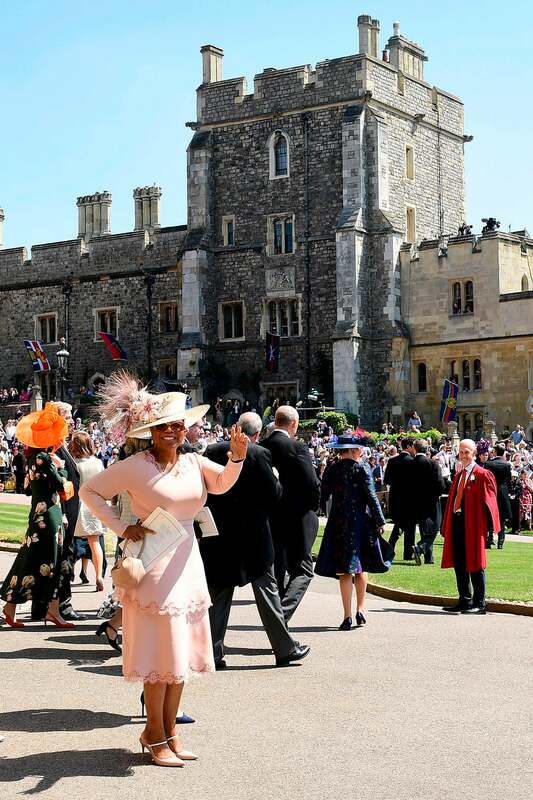 Actress Gina Torres, who starred in Suits alongside Meghan Markle, showed up in mid-length red lace dress with an elaborate floral pattern and mesh details. 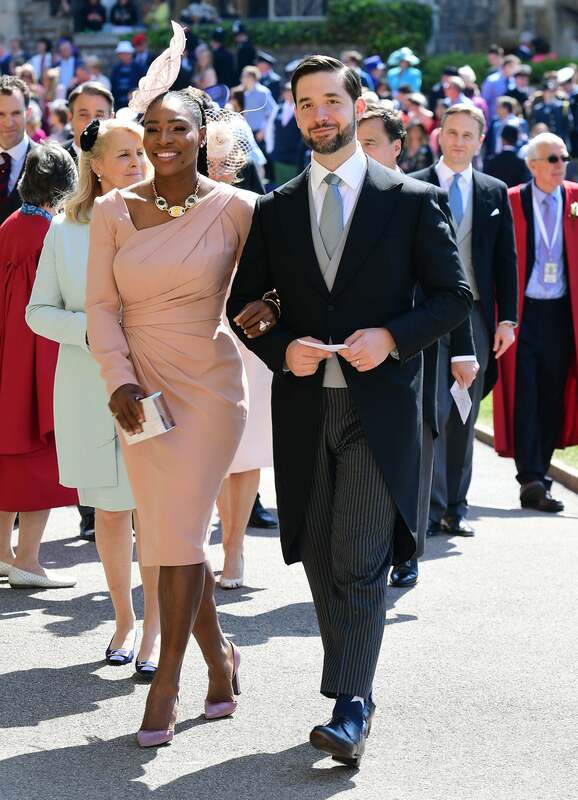 Serena Williams arrived arm-in-arm with hubby Alexis Ohanian, wearing a draped Versace dress in blush pink, a feathered headpiece atop her long twists and a statement necklace.